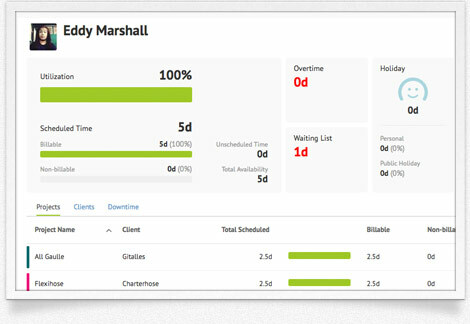 Use reports to monitor utilization of your team and help with capacity planning. Vacation tracking enables you to quickly see how much staff leave has been taken and by whom. With Resource Guru's reports, enlightenment is just a click away. Need to know how much capacity you have over the next month? Which resources are under or over-utilized? 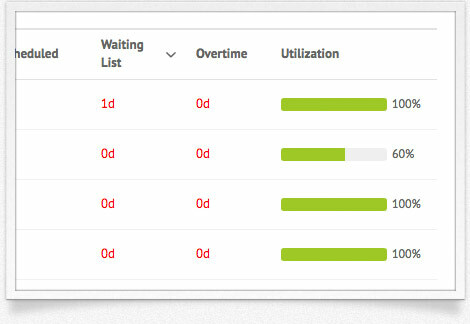 You can easily check the utilization rate for all your resources or focus on specific individuals. 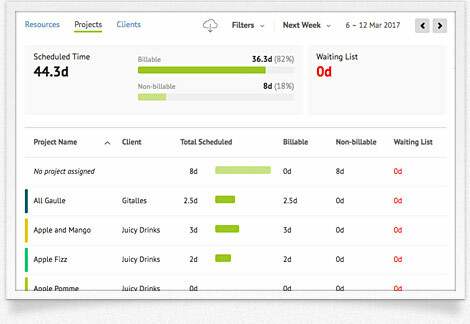 Find out which projects and clients are consuming the most time. 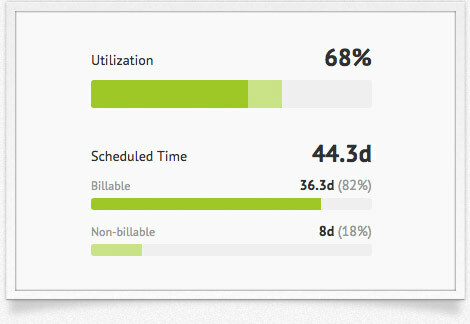 What percentage of time is spent on non-billable work? Are you over or under-servicing your clients? 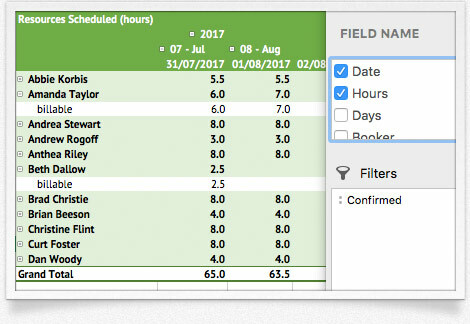 Use the unique "waiting list" feature to identify resources where demand outstrips capacity. With this enhanced visibility, you can take corrective action in advance by hiring freelancers or adjusting project schedules etc. Drilling down to focus on individual resources is easy. Get a complete overview of their hours along with the projects and clients they are booked on. Need a report that focuses on part time staff? Or one that only covers the team in London? 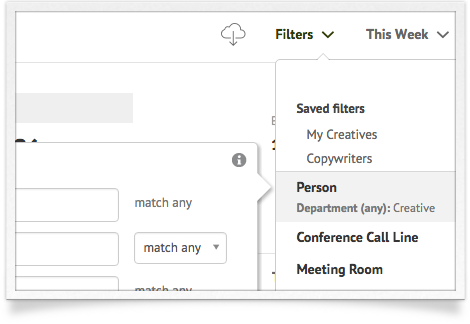 It's easy to get the numbers you need by using Resource Guru's custom fields and filters. If you need to go beyond the online reports, we've got the best Excel report downloads in the business. Powerful pivot tables will instantly deliver the numbers you want.